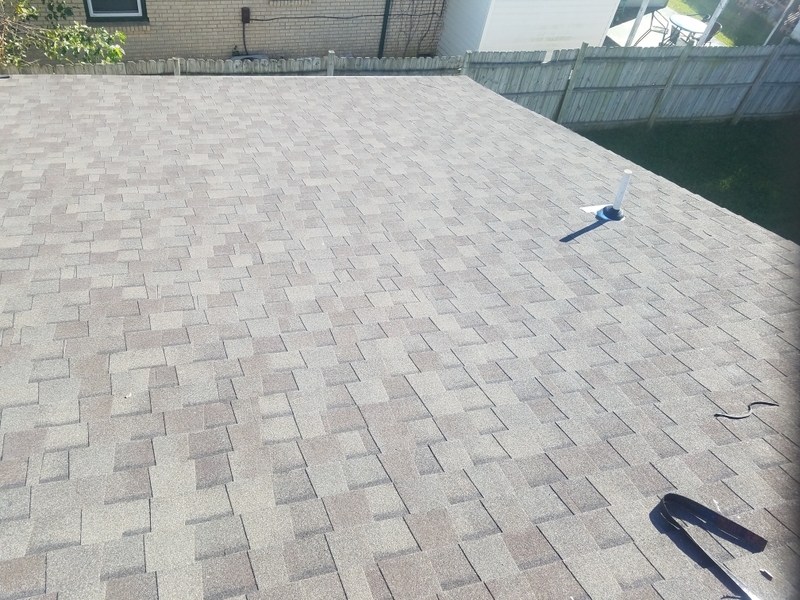 Homeowners often ask, “Can’t we save some money by just adding a second layer of shingles?” Even though a roof overlay would save some of the labor costs of tearing off existing roof shingles, it makes us miss one of the most vital details of a roof replacement – inspecting the roof deck. A roof deck inspection is an essential step but many companies don’t do it. You wouldn’t believe how many times I’ve driven past a roof getting replaced, where they even tore the shingles off but left the old underlayment over the roof deck. 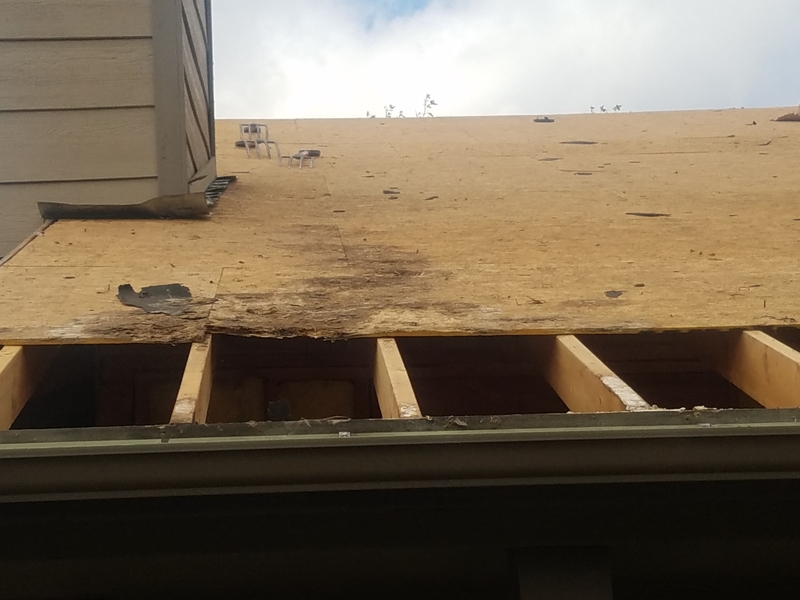 If contractors won’t tear-off the roof completely, down to the bare wood, they miss the deck inspection. This leads us to ask… what problems might be lurking beneath the roof? What Do We Look For When Inspecting the Decking? There are many things we look for during a roof deck inspection. First, we want to make sure the decking meets the local building code requirements. Several different materials are acceptable. 7/16″ OSB, 1/2″ Plywood, 3/8″ Plywood, and 1″ x 6″ Hardwood Boards are just a few. But just because you have one of these materials, doesn’t mean that your roof is code-compliant. For instance, if you have a 3/8″ plywood but the rafter span is greater than 24″ or H-clips are not present, still, it is not up to code. In the photo above, you can see that without the H-clips, the decking easily separates at the seams. Over time, this will cause the roof to become wavy. Those waves lead to sagging, which causes the roof to leak. This deck has various widths of 1″ boards. How would you like this to be the foundation for your brand new shingles? Your roof is supposed to last you over 20 years. Do you think this deck would hold up another 20 years? Take a look at the gap between the slats. I don’t care how good of an installer you have if he doesn’t hit the nail to the wood. If the nails miss the wood, do you think your roof will be able to hold up to extreme winds? The answer is NO. Therefore, contractors should replace the deck. A deck inspection allows us to detect leaks that are not visible inside the house. Here’s the ugly truth about metal flashing: It’s prone to leaks. A flashing leak happens for various reasons. It’s possible that the flashing was poorly installed and became loose, or it deteriorated over time. As metal flashing pulls away, water makes its way into the roofing material. Sometimes it’s not possible to spot leaks due to flashing problems unless a contractor inspects the roof deck. Leaks don’t always show themselves inside the house – as evidenced by water spots on the walls and ceiling. Notice the water stains on the decking from the flashing around the chimney leaking. The photo above depicts a leak problem right above the front porch of one of our clients. In this scenario, a homeowner would be less likely to notice the leak unless significant damage had already occurred. Leaks are hard to detect especially if the point of water entry is located outside! If we didn’t tear off this roof down to the deck, we wouldn’t have discovered the failed chimney flashing. Also, the customer would’ve been left with rotten decking under their brand new roof. 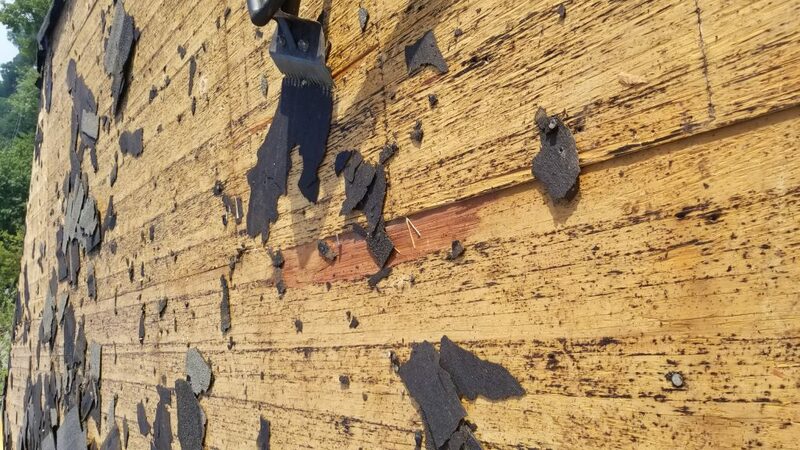 It’s hard to believe that holes like this can go undetected during a roof installation, but it sure happens! Clients contact us to repair their new roofs where a second layer was added. We often discover decking problems very similar to this one. It’s amazing to me what some companies will do to keep a little money. If we spot issues during the deck inspection, there’s no need worry. We can fix these problems. If there are only a few pieces that need to be repaired, the additional cost is minimal. 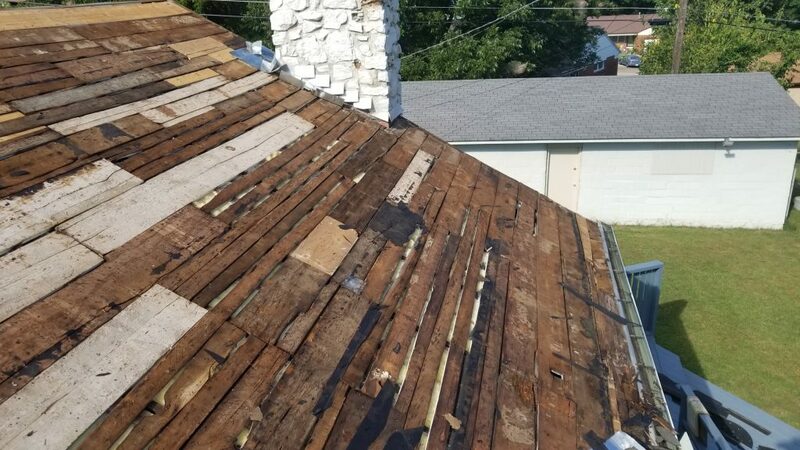 But if we determine that the entire roof deck does not meet the code requirements, and the replacement is due to storm damage, we will submit the photos and documentation to the insurance company for you. As long as you have code coverage included in your policy, which most policies do, your insurance provider will cover 100% of the cost to upgrade your decking to meet code. This is what the roof looked like after the decking was replaced. Remember that your roof protects your entire house from the weather. If you plan to install new roof shingles, don’t make the mistake of not requiring the roofing contractor to inspect the decking. 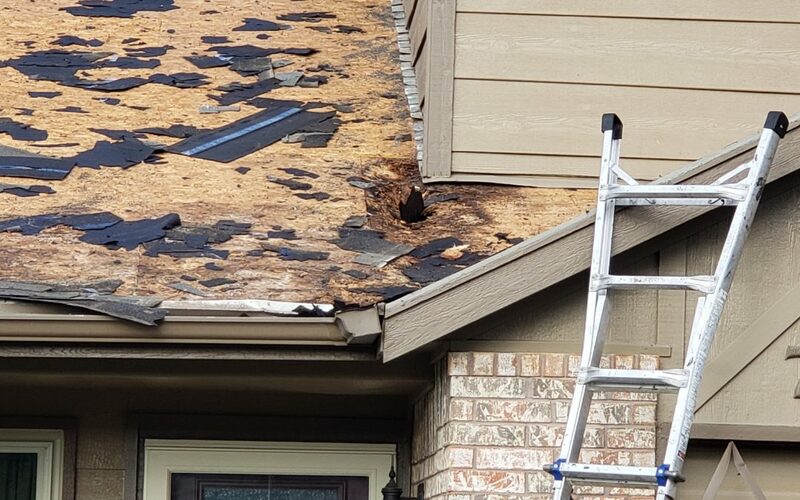 You may save a little money up front during the roof replacement, but this will cost you a whole lot more in the near future. The right roofing contractors always have your best interests in mind. If you got any questions about your roof, feel free to reach out. Ranger Roofing of Oklahoma’s roofing specialists are always available to answer your questions and solve your concerns. Call us at 918-347-4627.